American Red Cross officials encourage residents directly affected by Friday’s four-alarm fire at the Carriage House Apartment Complex to contact them for assistance by calling 206-323-2345. With the future of the 48 families displaced by the late afternoon fire uncertain, Red Cross officials want to help prevent homelessness and get the residents on the path to recovery from the disaster. 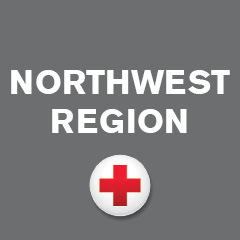 So far, 28 of the 48 families have been or continue to be assisted by the Red Cross Chapter serving King County, according to Jamie Hill, the organization’s disaster program manager. The Chapter has not yet had contact with the remaining 20 families, but has been attempting to contact them, in cooperation with the apartment complex management team. Joseph P. Cirone, Hill’s disaster program manager volunteer partner, said the Red Cross has provided emergency financial assistance; refills of prescription medications; safe, clean and well organized shelter conditions; hot meals; health and mental health services; comfort, advice, counseling, empathy and compassion to help the families get back on their feet. “While we continue to work with the 28 families, we are also concerned about the families who have not yet contacted us and received our help,” he said. “We don’t know when these families can get back into their homes. We know that staying with friends and families can only last for so long and we don’t want to have people sleeping in their cars or being homeless as a result of this tragedy in their lives,” Cirone continued. The American Red Cross is able to help those affected by disasters small and large because of the generosity of the American people. The Red Cross is not a government agency; it relies on private donations of time, money and blood to do its work, Hill said. The financial assistance given to families following a fire or other disaster is a gift, she added. The best way to help the families and other people affected by disasters like floods, wildfires and countless other crises, you can make a donation to support Red Cross Disaster Relief. These gifts enable the Red Cross to prepare for, respond to and help people recover from disasters big and small. You can make a donation today by visiting http://www.redcross.org, calling 1-800-RED CROSS or texting the word REDCROSS to 90999 to make a $10 gift, according to Hill. I’m very sorry to hear of your circumstance. Can you tell me where you’re located so I can get you connected to the correct team?